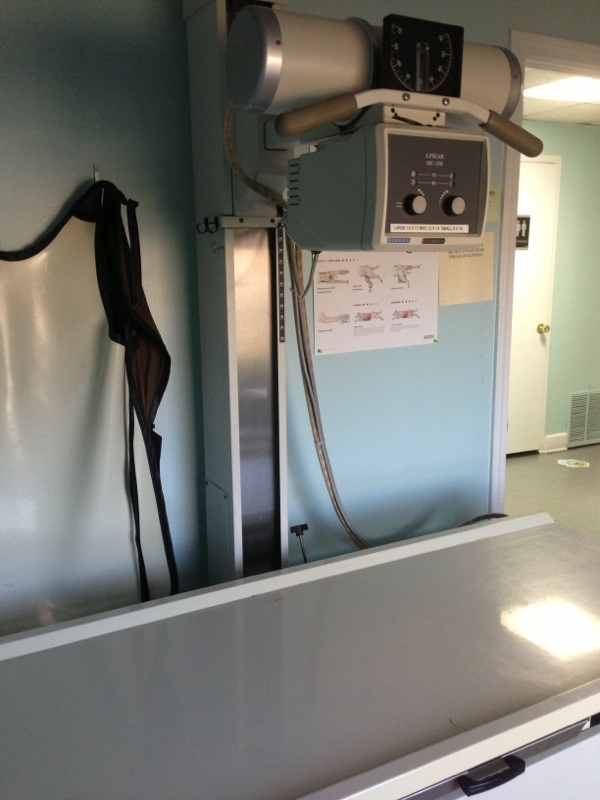 Like a digital photo, a digital radiograph can be manipulated after it is taken allowing our team to view the image and see things in ways that weren't possible with conventional film X-ray. 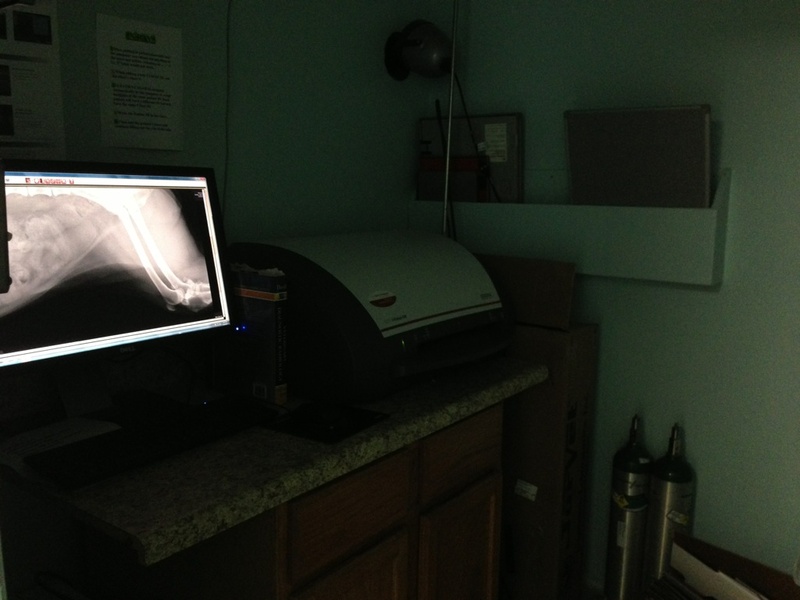 Digital X-rays allow Portsmouth Animal Hospital to work with board certified radiologists to interpret and consult on X-ray images. Our network of radiologists interprets the films, and sends back their findings allowing us access to consistent, precise interpretations in minutes not days. The imaging procedure is non-invasive and completely painless and can be performed on calm and cooperative pets without sedation. We may administer a light sedative or general anesthesia in cases where a dog or cat has trouble becoming fully relaxed naturally. Some pets chew up and ingest items that can be very harmful, we have found a sock, small toy, rocks and even a diamond ring using radiology. Copies of X-rays can be burned onto a CD and viewed on any computer at the owner's request. Don't hesitate to call us to schedule an appointment if you suspect your pet has ingested anything suspicious or just isn't acting like himself or herself.